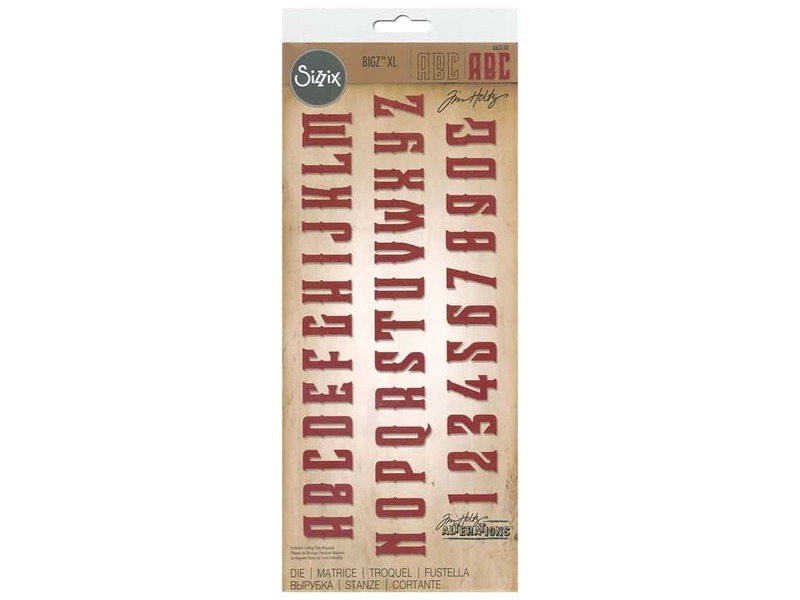 Description: Sizzix Tim Holtz Bigz XL Alphabet Die cuts a complete upper case alphabet, numbers, and ampersand. BigZ XL Alphabet Dies cut almost anything, including cardstock, felt, fabric, foam, magnet, leather, craft aluminum and many other materials. Compatible with the BIGkick, Big Shot, and Vagabond cutting machines. Letters measures approximately 1 1/4 inch tall.